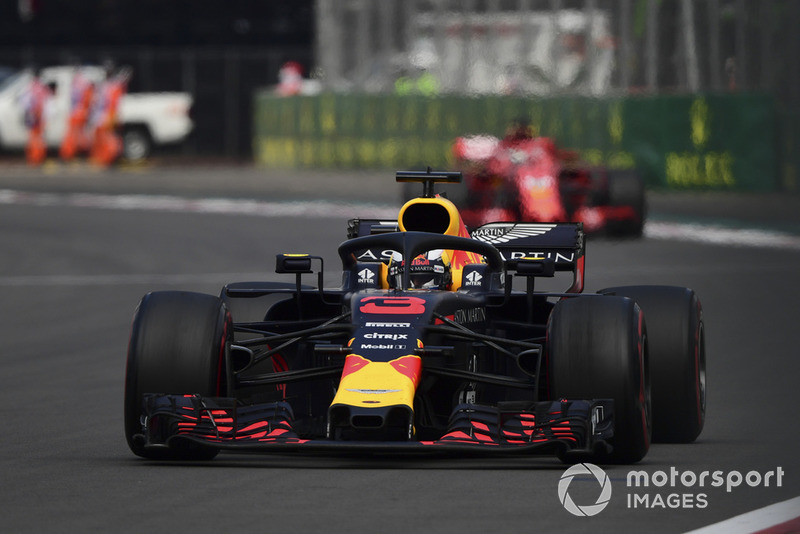 Horner stressed that the unique conditions in Mexico put Renault on a par with its rivals Mercedes and Ferrari, allowing the team to take advantage of its strong chassis. “Credit where credit’s due,” said Horner. “Renault have provided us with an engine this weekend in these conditions that is competitive with our opponents. “That’s enabled us to go head-to-head, lock out the front row of the grid and win the grand prix in a dominant fashion. Theoretically we should have had a one-two here. “The altitude of this circuit does constrain some of our rivals and it puts Renault into a window where they are competitive. Horner said Verstappen was fully motivated for the race after losing pole position to Daniel Ricciardo by 0.026 seconds. “You could see that he was pretty upset about it,” he said. It wasn’t the best second run in Q3 and it was an outstanding lap from Daniel. “I think it played on Max’s mind, and from the moment he turned up [on Sunday] you could see there was only going to be one guy coming through Turns 1/2/3 in the lead. Red Bull motorsport boss Helmut Marko stressed that the team had got everything right, other than a frustrating retirement for Ricciardo in the closing stages. “It was really nice to have this feeling again, and the race was so easy,” said the Austrian. “We didn’t have any problems with the tyres. The others complained. “One stop would have worked with Ricciardo, he could hold Vettel behind him easily, and the two-stop for Max was just for safety, we had the tyres available, so we put them on, in case a safety car came and Ferrari put hypers on at the end. Ricciardo was eventually sidelined by a clutch failure. “He had a bad start, but that was nothing technical, just procedure,” said Marko. Horner added: “It looks like a clutch issue that looking at the data probably started around lap six.